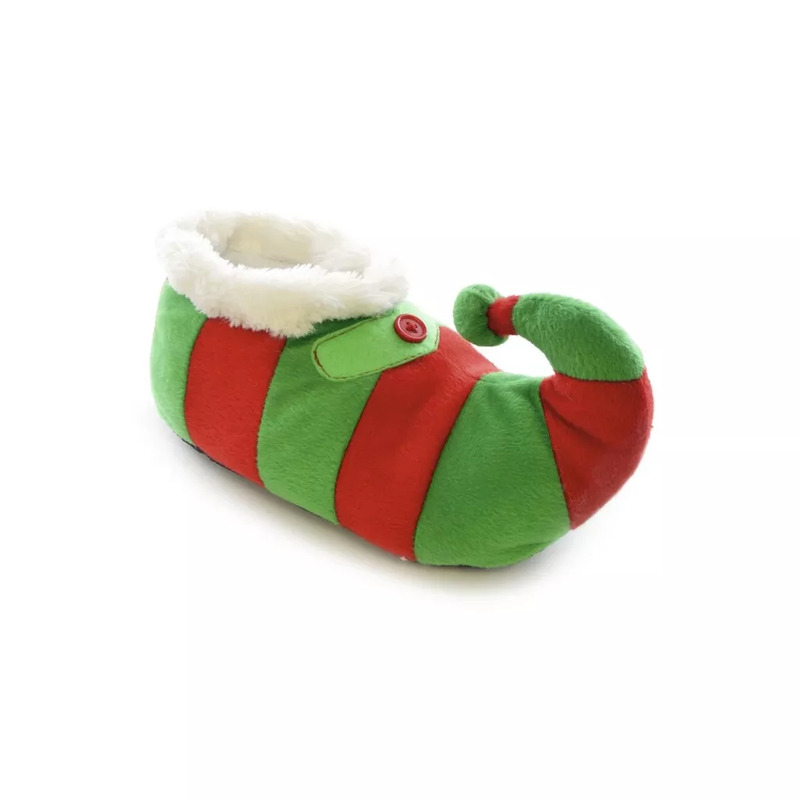 Kids slippers with striped elf design. Pin dot sole for added floor traction. Choice of 4 sizes: UK Child 9-10, UK Child 11-12, UK Child 13-1, UK 2-3.